Paudie Kelleher got some help from his newborn son on this one! 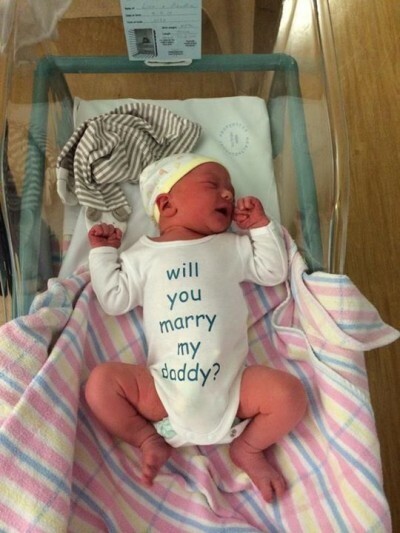 He made him a customized onesie and surprised his girlfriend with this marriage proposal: Will You Marry My Daddy? Of course she said YES! It's so incredibly cute! Lisa you are one lucky girl! She posted this photo on your Facebook page to announce the big surprise.